Home/Gateway Self Storage Units - Blog/Moving to a Resthome or Carehome? 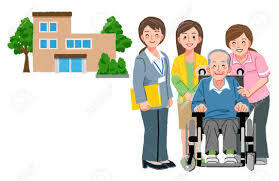 Do you have a loved one moving into a Resthome or Carehome? This can be a stressful and sometimes traumatic time. Sometimes there is uncertainty about what personal possessions are needed in their new home. It may also be a case of them not being quite ready to let go of certain items. There is much upheaval with a move to a new home, and many decisions to make along this journey. At this time, they may not want to feel they’re forced into making decisions about selling or giving away items where there is a very personal attachment. Moving those items into a small storage unit can be a great temporary solution. It gives your loved one the chance to settle into their new home, and to then assess if any of those items in storage can indeed to be useful to them. If it’s found there is no need for them (physically or psychologically), then they can be dealt with at a time when they’re ready to do so without the pressure of having to make a quick decision. Click here for more information on Storage Unit Sizes and Prices. By gateway|2019-01-21T11:13:32+13:00April 21st, 2017|Gateway Self Storage Units - Blog|Comments Off on Moving to a Resthome or Carehome?